FalconWatch » 1- So You Want To Join The Fledge Watch? If you’d like to join the ranks of volunteer fledge watchers (and let’s face it, who wouldn’t?) 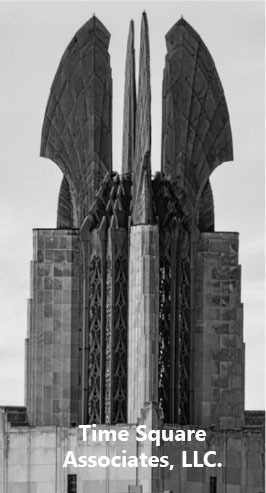 then welcome! We’re happy to have you. The more eyes we have monitoring these wonderful young falcons as they take their first flights, the better. It’s pretty easy to get into the fledge watching groove. We’ve laid out all the information you’ll need, so if we haven’t scared you off yet, read on! First, download our handy Fledge Watch Brochure. It contains all kinds of useful information, including a list of people to contact if you need to rescue a falcon, and how exactly to go about doing that if it should be necessary. There are tips for watching, and what equipment to bring with you too. All in all, it’s a pretty handy guide. You can print it out so you’ll have it handy if you need it. Users with smartphones that can display Adobe PDF files can download a mobile-friendly version of the brochure HERE. You’ll need a FalconWatch account in order to sign up for times on the official Fledge Watch calendar and to post your observations on the FalconWatch blog. Please note that the FalconWatch blog account is separate from our Forum, so you won’t be able to use your Forum account to log in to the FalconWatch blog. 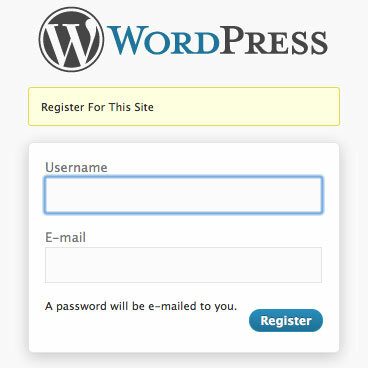 To create an account, click on the Register link under the Meta section on the right side of the blog. You may need to scroll down a bit to find it. You can also go straight to the registration screen at http://rfalconcam.com/falconwatching/wp-login.php?action=register. At this point you will have a limited access account. You won’t be able to sign up for watch times on the calendar or post to the blog until an administrator validates your account. You will receive a 2nd email when this process had been completed, at which point you will be free to log on and schedule your watch times. Log in by clicking the Log in link under the Meta section on the right side of the blog. You may need to scroll down a bit to find it. 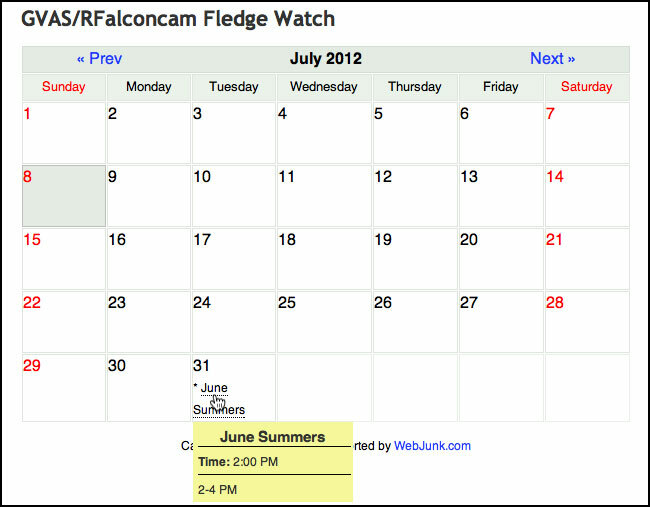 You can also go straight to the FalconWatch blog login screen at http://rfalconcam.com/falconwatching/wp-admin. Your username and password need to be entered exactly as they were when you registered. 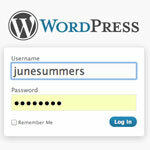 If you lose your password, there is an automatic password reset function on the blog. Just click on the Lost your password? link at the bottom of the login screen and enter your E-mail address. It must be the same address you registered with. An E-mail message will be sent to you. In it will be a link to reset your password. Each user has a profile. 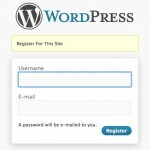 Your profile contains information about you such as your name, your email address, and details about how your information should be presented on the blog. To get to your profile page, click the Profile link on the upper right side of the page after you log in. In addition to changing your personal information, you can create a new password for yourself here. Scroll down to the bottom of the profile page to find the New Password section. You’ll need to type your new password in each of the text boxes. The gray box at the bottom will tell you if your chosen password is too short, and how “strong” or secure your password is. After you have updated your profile, be sure to click the Update Profile button at the bottom left side of the page. Now you just need to select the starting date and time of your watch. When you are done, click on FalconWatch at the top of the page and then click on 2- Fledge Watch Calendar on the upper right side page. You will see your name displayed on the days you selected. If you hover over your name, the details of that watch will pop up. If you need to change or cancel your watch times, click on the Schedule a fledge watch button and then scroll down to the bottom of the page where you can edit or delete them. When you’re finished working in the blog, you should log out. This is a security measure that will prevent unauthorized postings using your account. It can also help protect against hackers or other kinds of cyber attacks. Click the Log Out link at the top right side of the post writing screen, or the Log Out link in the Meta section on the FalconWatch blog screen. One of the things our readers most look forward to is getting reports from the field. We’ve put this FalconWatch blog together for that very purpose. As an official Fledge Watcher, we want to hear from you! Over at the upper right side of the page you’ll see a couple more links; 3- How to Post a Fledge Watch Report, and 4- Guidelines for Posting Your Fledge Watch Report. Read the instructions on both of these pages for the inside scoop on sharing your observations with fans of the Rochester Falconcam everywhere. Now that you’ve got all the information on how to be a fledge watcher, what else do you need to know? Check out the 5- Fledge Watch FAQs for answers to all your fledge watching questions. And if you have a question we haven’t answered, send an email to (you guessed it) jess@rfalconcam.com, and we’ll get back to you with an answer as soon as we can. Thanks again for volunteering for the Rochester Falconcam and Genesee Valley Audubon Society Fledge Watch! We’re grateful that you’ve chosen to help ensure the safety of the fledgling Peregrine falcons here in Rochester.